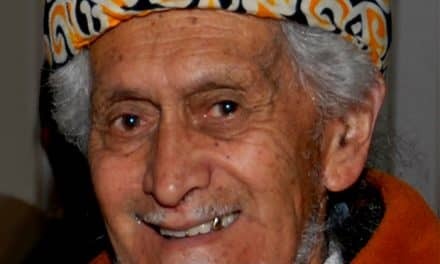 Back in Ngahiwi Apanui’s boyhood days on the East Coast, nearly 50 years ago, absorbing te reo Māori was a natural process, even though there was a common adult mindset that te reo Pākehā was the best way to go. So he took a while to appreciate what a gift he had in being a fluent Māori speaker. But it paid off for him at Victoria University. And again when, guitar in hand, he danced off into the music world. It was also invaluable — a necessity even — during his years in Māori radio. Likewise when he was developing Māori language teaching resources. And, of course, it’s at the heart of his work at Te Taura Whiri i te Reo Māori (the Māori Language Commission) where the challenge is to encourage the whole country to warm to te reo Māori, and to help us all embrace it. Here’s Dale inviting Ngahiwi to tell his story. These days, Ngahiwi, you’re based in Wellington and you’re carrying a big responsibility at Te Taura Whiri — partly because of the grounding you had in te reo Māori back on the Coast where you grew up. Can you start by telling us about those early days. I’m the ninth of 10 children — and I was born in 1963. Our mother was Hera Te Mirowai Apanui or Sarah Apanui. She was a solo mum. So our grandparents played a big part in bringing up our family. They’d often take up the slack when she was working. But, by the time I came along, my grandmother had died, so I only got to know our grandfather, Apiata Apanui. From 1970 onwards, my mother moved from Te Araroa to work in Ruatoria as a telephone operator. She had the same role in Te Araroa, but they automated the Te Araroa exchange, and then sent my mother to work in Ruatoria. So, rather than take us with her because she was working late hours, we stayed with our grandfather. And we’d go see her in the weekends. Consequently, the two rocks in my life were my mother and my grandfather. What sort of influence did they have on you? The big lesson I learned from these two was that there’s lots to be said for going quietly about your work and just getting your work done rather than telling everybody what you’re going to do and setting yourself up for a big fall. Never mind about being the biggest or toughest. Just get your work done. If we had spoken “bro-English”, we would’ve been reprimanded. Same with Māori. But I have to say that the general message to my generation was that te reo Māori was a waste of time. And we were told that in Māori. That’s the funny thing. You’ll find most of my generation from Ngāti Porou have a listening comprehension of the language, but don’t speak Māori. That’s because we understood everything that was being said, but a lot of us were made to feel that we didn’t need to speak Māori. 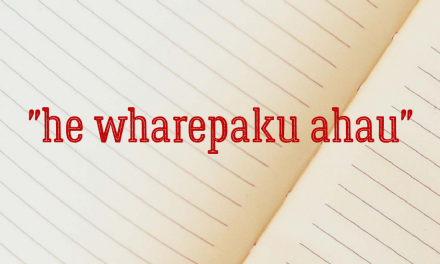 People would tell us: “He moumou taima te reo Māori, kāre koe e whiwhi mahi i te reo Māori.” It’s a waste of time speaking Māori; you’ll never get a job. Well, the irony is, here I am chief executive of the Māori Language Commission. I understand that, from the Coast, you headed up to Tipene for your high school days. Well, my father and my mother separated when I was about two. They had four children together. I was the second youngest of those children. So I didn’t see much of my father. In fact, my father pretty much divorced us all when he split with mum. And I didn’t make friends with him again until I was in my 30s. I think he spent the last 20 years of his life trying to make it up to me and I really appreciated the effort. But as a child and a young adult, the rock in my life was well and truly my mother. Attending St Stephen’s was due to my mother. She had sent, and paid for, three of my brothers to attend St Stephen’s, and all my sisters to attend Queen Victoria. And, when I arrived at Tipene, all of my illusions about the place were shattered. To be fair, it was a pretty rugged place for a 13-year-old from the East Coast. After a couple of weeks and a few attempts to convince Mum to let me come home, I reasoned that this was the price I had to pay for an education. If you want School C and UE, you have to go through this. I look back now, though, with immense pride because, if I hadn’t gone through that, I wouldn’t be where I am today. And I owe that all to my mother. She was the one who paid my fees. She was the one who was there for me when it mattered. Because she worked on the telephone exchange, I could always ring her. As much as I was able, I’d ring and talk to her about what was happening — and she’d listen quietly and let me rant. Then she’d say: “Oh, well. You look after yourself, my boy. You ring me up next time, eh?” And so I’d carry on. St Stephens was a bit of a wake-up call, though. A very tough place to be. But without it I wouldn’t have learned some very important life lessons. I remember Judge Joe Williams saying one time that your school years are the years in which the bedrock of your character is formed. At St Stephen’s, I learned initially to endure. Then I learned to thrive and to see the positives in the situation I was in. At Tipene, I imagine there were schoolmates and teachers who had a big influence on you. George Stirling was a good friend of mine. It kind of stunned me that he wanted to be friends with me because he was a cool guy — and I was just this nerd from Te Araroa. I found George to be a wonderful guy. And it was a real tragedy that he and his younger brothers died in a car crash. Of course I hadn’t, and so he pointed out that I’d been making assertions, but not backing them up with evidence. I said: “Where do I find that evidence?” He said: “Look in your books and find people who can support what you’re saying.” So I learned the concept of using rather than just regurgitating information, which was really valuable for me. He taught me one of life’s great lessons. Another teacher I enjoyed was Geoff Dell. He was one Pākehā teacher who earned the respect of the boys because he was willing to take a bit of cheek and give it back. Many of the other Pākehā teachers were authoritarian with us and if you tried to joke around with them, they’d pull out the cane. He was my cricket coach as well, and he was another teacher I learned a lot from. One of the things he taught me was dealing with the legacy of violence at the school. When I became a prefect, I didn’t want to continue that legacy. I opposed it by refusing to use corporal punishment to discipline the boys. As a result, and probably because the other prefects were doing it, the boys thought I was useless. Really, what I was trying to do, was show that you could lead without being violent. And it backfired on me. And I remember Mr Dell saying: “Apanui, you can’t create change on your own. You need a group of people to help you to do it.” I’d tried to do it on my own, but I’d got eaten up and spat out. And he made me realise that, if I wanted change, I had to win enough people over to my point of view to create that change. So St Stephen’s was where I learned that. And that lesson has stuck with me right through my life. Especially here at Te Taura Whiri where we’re trying to win the hearts and minds of the whole country for te reo Māori. Your next step was Victoria University — and plenty of music. How did you respond to those opportunities? I absolutely loved university. Some of the best years of my life. But I didn’t go straight there. Halfway through my 7th form year, I landed a job as a clerical assistant for NZ Railways in Wellington. I soon found that having a job and having the job you want are two different things. I consequently enrolled at Victoria University the following year — and I ran into a wonderful group of senior students. Judge Joe Williams, Toni Davis Waho, Ani Mikaere and Joan Ropiha. Others I can remember from my first year were Caren Wickliffe, Pakeke and Huia Winiata, Lucy Bristowe, Kohika Waaka, Tania Davis, Sean Ogden and Charles Royal. We were very lucky. We had the real privilege of being mentored by people of the calibre of Joe, Ani and Toni. They politicised us as well, but they politicised us in a good way. Through what they said but mainly through their actions and, of course, like all good younger brothers and sisters we’d try to emulate them. I always felt really safe when they were around. The good thing about them was that they encouraged us to be leaders so that when they left, we had a leadership template we could refer to. At St Stephen’s, I’d gone to considerable effort to dodge having to do whaikōrero and even at times pretending I couldn’t speak Māori. For me, as a teenager, I believed that was something the old people did. But, at Vic, I’m suddenly in a place where, if you can speak Māori, you were very lucky and special. So I came to value the fact that I had an upbringing that featured te reo Māori. And I began to value the fact I had a head-start on these ones that were learning Māori for the first time. But I also got to understand that not everybody grew up like I did with te reo Māori. There were lots of people who, if cutting off their arms would allow them to speak Māori, they would have done so. This was an eye-opener for me. I was with highly intelligent and motivated people who, through no fault of their own, had been deprived of the right to their culture and identity and who were so hungry for it. For instance, when I first heard Joe Williams speak Māori, I just assumed that either he’d been learning the Māori language for a long time or was a native speaker. When he told me he’d been learning Māori for about two or three years, I nearly fell off my seat. The Māori renaissance was peaking in the ’80s. I remember, in 1986, giving evidence at the Māori language claim (before the Waitangi Tribunal), at Waiwhetu. I remember releasing Maranga Ake Ai in 1985. I remember thinking at that time that we could achieve anything that we wanted. It was an amazing time to be involved. I know the Māori language claim led to the establishment of Te Taura Whiri and a whole bunch of other initiatives for te reo Māori. The kōhanga reo was taking off. There just didn’t seem to be anything that we couldn’t do. It was in this time that you started making a name for yourself in music, especially with Aotearoa. How did that come about? Well, my association with Joe Williams carried over into music. I had a rather bad habit of hanging out in the marae playing my guitar all the time rather than going to class. So, if I knew manuhiri were coming, I wasn’t going to class — I was going to help out with the manuhiri. I’d often be there with the guitar. I remember Joe turning up one day, picking up a spare guitar and we jammed. I think we were inspired to write a song because we’d been to see Herbs play at an orientation concert. Joe had a melody and some lyrics and it morphed into Maranga Ake Ai. Then one day, we were sitting there singing this song, and Kararaina Rangihau and Maru Karatea turn up and start harmonising. And could they sing! Next thing, they’re backing vocals for the song — and people are walking past saying: “Wow that sounds amazing!” So, I came up with this idea to record because I really believed the song could be something special. And, really, that was the genesis of Aotearoa. We recorded a couple of demos in 1984. And the next year, Brendon Smythe at NZ On Air gave us a grant of about $800. We recorded Maranga Ake Ai and Haruru Mai with the help of New Zealand music legends Dennis Mason and Ian Morris at Marmalade Studios in Wellington. I spent most of the time pretending I wasn’t starstruck! From the first time we heard the rhythm track for Maranga Ake Ai, Joe and I both knew it was going to be a special song. It just sounded so great. I played that song probably thousands of times to people before we got the release deal with Jayrem Records. And when it came out, it was already widely known in te ao Māori. The next step was to take the band on the road and promote the single. But Joe, who became a senior law lecturer, and Maru and Kararaina were too busy. So, within a year of releasing Marana Ake Ai, we had a new (and very young) band. It took us two or three years to really gel as a band. So my university years were really great, not so much for study but in terms of getting around the country and playing with the band. To be truthful, university for me was more about kaupapa Māori, friends, and my music than anything else. And it wasn’t until my graduation that I realised that I hadn’t put in the hours I should have. My mother was there and, when I returned after receiving my certificate, I saw her crying. I’d forgotten during my study how much she had invested in my education, and memories of her working until all hours of the night on the telephone exchange came flooding back. There and then I decided that, if I was ever lucky enough to study again, nothing less than an A would be good enough. And that’s what I’ve done with my masters and all the other papers I’ve sat. That’s an acknowledgement of my mother’s investment in my education and career. Thanks for reminding us of those Aotearoa days. But you’ve also invested a good deal of time in Māori broadcasting and in focusing on education resources. I spent 10 years working on the East Coast, most of those as manager of Radio Ngāti Porou. At the time, I had this huge belief that broadcasting was the way to revitalise te reo Māori. I came to realise that broadcasting is just one of a range of initiatives we need to have. I actually started studying law. After three or four months, the new law students were taken to the courts here in Wellington. I lasted about 30 minutes. I found it really hard to be there. I didn’t like the wairua of the place. I particularly didn’t like that most of the cases that were called while I was there involved Māori. I came to the realisation that, as a barrister, you’re the ambulance at the bottom of the cliff and that the intervention needs to take place much earlier. I did one more year of law, though, and then I started doing a BA majoring in education and Māori studies. I had this belief in education, because education had shaped my life in a positive way. And I tried to understand why I had made it to university and why most of my classmates from Te Waha o Rerekohu Area School in Te Araroa hadn’t. I reasoned it was because I’d been brought up in an environment where te reo Māori and te reo Pākehā were equally regarded — where education was valued. And that being Māori for me was a natural and intrinsic everyday part of what I was doing. So I didn’t have the identity issues that a lot of my friends had. And the value of this has been proven by kura kaupapa. The evidence shows that when you look after a Māori student’s identity, and reinforce and value it, and engage whānau with the kura, they will do well. Educational success and cultural identity for Māori go hand-in-hand. I believe kura kaupapa is a proven, real-life example of the successful revitalisation of te reo Māori. I look, for instance at Te Kura Kaupapa Māori o Kawakawa Mai Tawhiti in Hicks Bay. They have 150 kids at that school, all of whom speak Māori. Most of whom will be able to attend university if they choose to at the end of their time there. 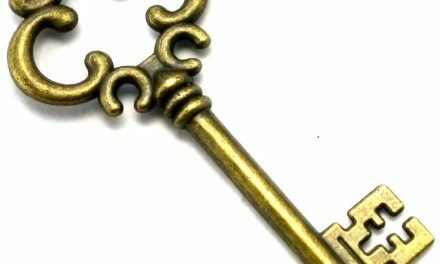 It is the most successful mechanism for language revitalisation we have and I don’t believe we truly understand why it works. My perspective is that it’s because the kura reaffirm Māori identity but they also empower whānau and community to run the kura. 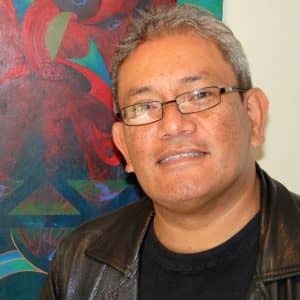 I believe being grounded in my Māori identity has allowed me to achieve educationally and that has had a knock-on effect in other parts of my life. I think it’s because of that issue of identity. Kura kaupapa underline that Māori identity and educational success go hand-in-hand. Working in education has been a real passion. I started in tertiary education in 2003 and finished last year when I became chief executive at Te Taura Whiri. For me, it’s been about helping Māori people find kaupapa Māori solutions. Looking at how resources can provide better outcomes for our people. A big part of that is understanding that it’s a digital world. Apps, talking books, PCs, tablets, and smartphones are the pen and paper of our age. We need to learn how to use digital tools to engage and teach people. Ka pai, Ngahiwi. Nice to be reminded of your journey. It’s been a very interesting journey. But let’s focus on your current mahi. Well, I guess the challenge for Te Taura Whiri is to win the hearts and minds of Aotearoa for te reo Māori. That’s the underrated aspect of the job — promotion aimed at enhancing attitudes towards te reo Māori. It’s about getting more people into te whare o te reo Māori (the house of the Māori language). All of New Zealand are our manuhiri. We need to welcome them into the house, look to understand their te reo journey, and put support in place to help them succeed. But there’s also the need to be working through government departments — helping them develop effective Māori language plans to enable them to do better for te reo Māori. 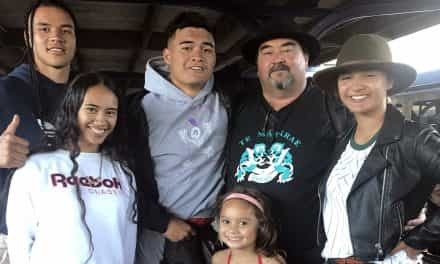 Te Taura Whiri’s role has been perceived as a one-stop shop for te reo Māori. But in the new environment, we are, in a sense, the master carvers of Te Whare o te Reo Mauriora, and our role is to help each agency to carve its own pou. I’m confident that we can make a difference for te reo Māori and wider Aotearoa. My goal is a Māori-speaking New Zealand. I haven’t moved from that position. But I’m realistic enough to understand that I may not achieve it in my time. It’s an aspirational goal in a long game. We envision a nation that values te reo Māori. A nation that’s engaged in the revitalisation of te reo Māori. And a nation that speaks te reo Māori. By around 2040 to 2050, based on the current population projections, a combined population of Māori, Asian and Pacific Islanders will be the majority in this country. I am using that date as a milestone. So the challenge to us here at Te Taura Whiri is to put in the foundations for New Zealand to become a Māori-speaking nation. It doesn’t matter what whakapapa our prime ministers may have at that time. We want that they are able to debate in te reo in the house and mihi to overseas guests along with every other member of parliament. We want our leaders to be speaking Māori because that’s a marker of our nation’s identity.